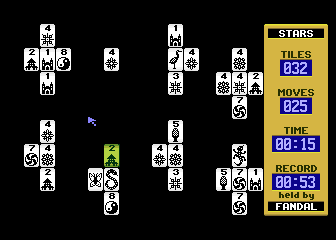 The Atari 8-bit version of popular solitaire game. Code by Fandal, music by Poison, card set and sfx by PG, title logo by Cupid. Written for Flop magazine No. 61. Supports stereo and Amiga or ST mouse (in port 2). 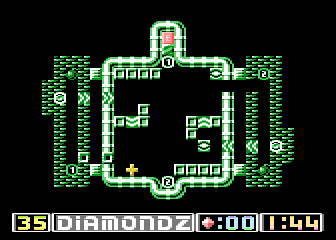 Refurbished version of Diamondz with brand-new levels and two brand-new game elements. Code by Fandal, music and graphics by PG. Written for Flop magazine No. 60. Multiplayer game for up to sixteen players. Code by Fandal, music by Irgendwer. Written for Flop magazine No. 60. Requires multijoy. Realtime version of Memory game for up to four players. Code by Fandal, music by Poison. Written for Flop magazine No. 59. Supports multijoy and stereo. 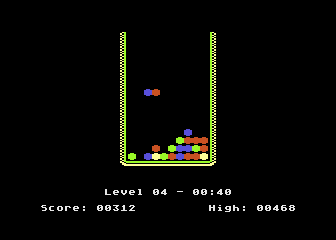 Very simple game written for private Atari party SILK 2014/2015. Requires light gun in port 2. 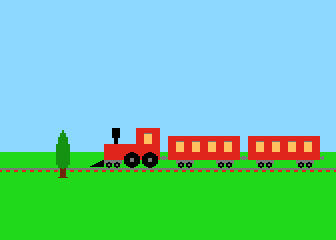 Simple game written in TurboBASIC for the Ten-Liners compo where it scored the first place in EXTREM category. Graphics by Irgendwer, ten lines of BASIC code by Fandal & Irgendwer. Original Czech text adventure game. 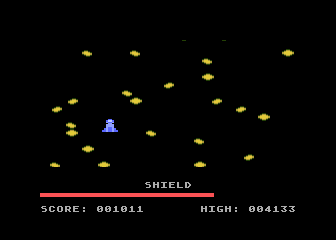 Story and code by Fandal, title screen music by PG. Written for Flop magazine No. 58. My older game Space Arena modified for multijoy interface. 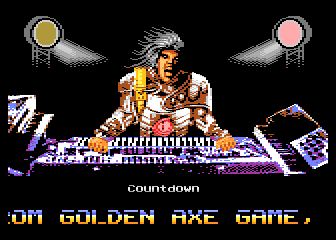 Brand-new title screen music by Poison. Published in Flop magazine No. 58. Team multiplayer game for up to eight players. 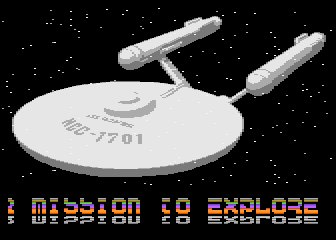 Code by Fandal, msx and sfx by Miker, title logo by PG. Written for Flop magazine No. 57. Requires multijoy. Mahjong clone with ten different puzzles. Connect two tiles by a line with no more than two corners. Code by Fandal, gfx by PG, msx by Poison. Written for Flop magazine No. 56. Stereo strongly recommended. 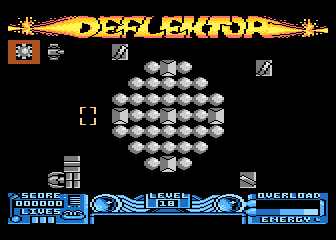 Levels editor for my favourite game Deflektor which was used to create Deflektor II. Idea & code by Fandal 2009, 2012. 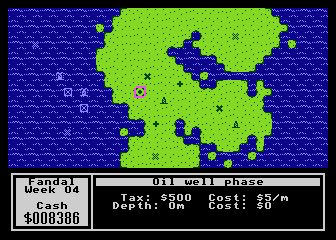 Strategy game for up to eight players based on ancient BASIC program Oilgame. Code by Fandal, gfx by PG, msx by Poison, game concept by Raster. Written for Flop magazine No. 55. Multiplayer party game for up to eight players inspired by Bugger! for the Atari Falcon. Brutal force code by Fandal; gfx, msx and sfx by PG. Written for Flop magazine No. 54. Supports multijoy. Something very similar to Nuts & Milk from NES. Code by Fandal, gfx and idea by Fly, music by Poison, sfx by PG. It scored the 7th place at ABBUC SW Compo 2010. Version 1.11. Pretty simple demo directed, dictated, sounded and titled by Poison. Code by Fandal, some gfx by PG. Requires PAL, 1024 kB of XMS and stereo. Released at Bytefest 2k10 party. Logical game based on PC flash game Cyadonia. 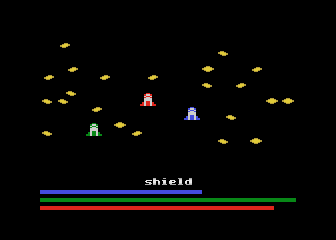 Code by Fandal; gfx, msx and sfx by PG. Written for Flop magazine No. 53. 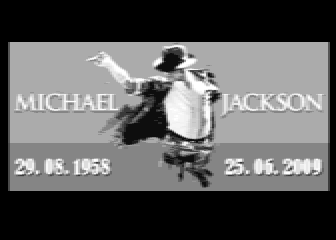 Small tribute to Michael Jackson. Idea, pictures conversion and SDCMC music by Poison, code by Fandal. Requires 130XE, stereo strongly recommended. PAL only. Collection of stereo songs composed by Poison in SDCMC (Stereo Double Chaos Music Composer) by Datri. Code by Fandal, graphics by PG. Hardsynth music collection. 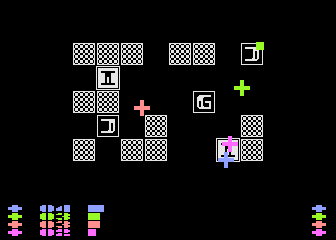 Msx and gfx by Emkay, code by Fandal. 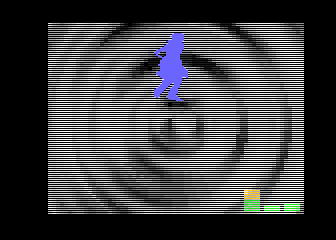 GTIA rotator effect is based on code by Arek Matlosz. Requires at least 130XE. Real HW strongly recommended. Oldschool multiplayer game written in two weekends for Flop magazine No. 52. Oldschool music by Poison, oldschool code and oldschool gfx by Fandal. Some control issues fixed by Raster. Requires paddles. A tribute to oldschool demo scene written specially for PLatariada 2008 party. Idea, screenplay and msx by Poison, gfx by PG, code by Fandal. Requires stereo. Download Who Lost the Wallet? 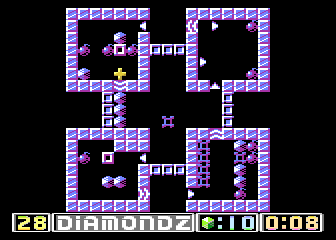 Atari version of popular Bejeweled game. 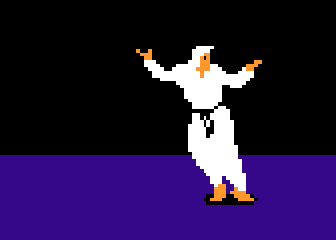 Gfx, sfx and msx by PG, code by Fandal. Written exclusively for immortal Czech magazine Flop No. 51. 1kB joketro written for Forever 9 where it scored the 3rd (last) place. Mind Blast is based on PC game Mind Bender from Chuzzle Deluxe pack. 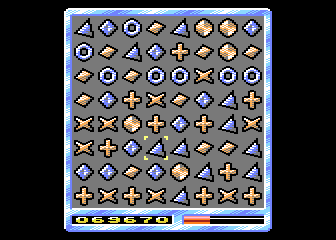 The goal of game is to arrange balls to the pattern shown in the left bottom corner. 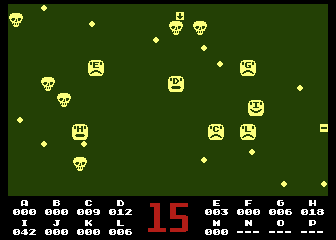 Mind Blast has 150 levels: 15 two-colored, 30 three-colored, 45 four-colored and 60 five-colored. Each level has a unique password. 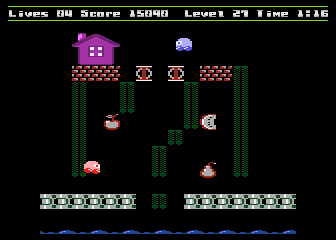 Code and levels design by Fandal; idea, gfx, sfx, msx and levels design by PG. Released in Flop No. 50. Simple multiplayer game designed for 2 up to 4 players. 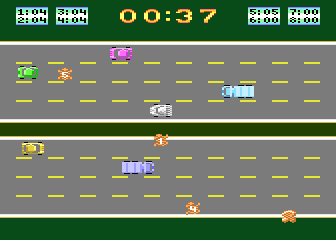 It is based on my older game Astro Road but it was almost completely rewritten. Astro4 Road supports multijoy interface and it's PAL only. The very first public presentation was Atariada 2006 and almost all competitons won as usually Raster :) who is the author of A4R music. Published in Flop No. 49. More than very stupid 1kB joketro written for Forever 2006 party where it scored the 3rd place. TST is my very first production made completely in MADS. Bye bye, good old MAC/65! June 7, 2004 was very sad date for all metal fans, because Thomas "Quorthon" Forsberg, leader of legendary Swedish band Bathory, was found dead in his apartment in Stockholm at that day. It was really huge loss for metal scene as well as for me personally, because Bathory is one of my favourite bands. 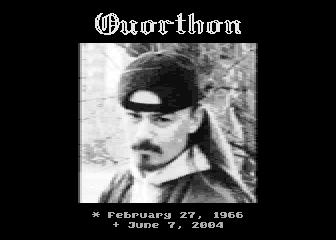 A Tribute to Quorthon was written with help of Cybernoid and Poison to remind this great musician and it was symbolically released on June 7, 2005. 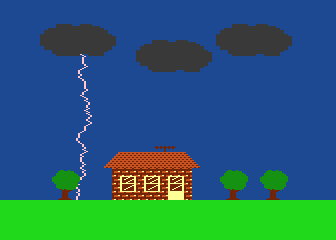 My very first attempt to enter the world of Atari 8-bit demo scene. Raster still wanted me to prepare something for Forever Party so I made this a little bit stupid 1kB intro. I can't describe my surprise when I found out it scored the 2nd place at Forever Hex! 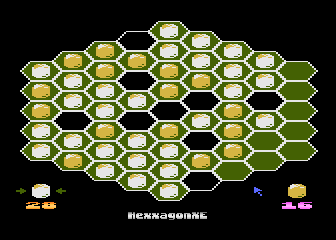 Logical game Cubico is my Atari remake of very popular game known as Clicks, Collapse, Clickomania etc. on other computer platforms. Great gfx were done by Emkay, sfx and msx by Raster. This freeware game was written for Flop No. 48 and it was officially released at Atariada 2005. 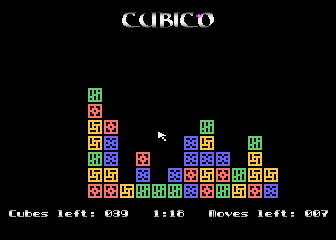 Cubico also took place at ABBUC Software Contest 2005 where it scored the 1st place! Fixed version 1.1 released in Flop No. 49. 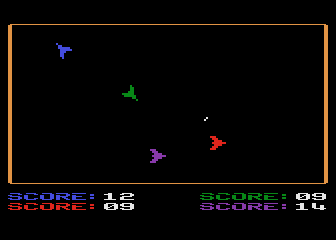 Probably the best stuff ever made by me on little Atari because it has nice gfx, sfx, msx and really very clever AI algorithm. 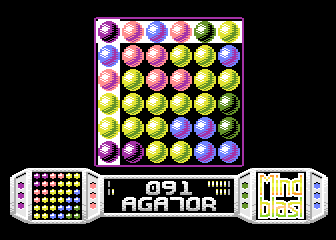 This logical desk game for two players was adapted from DOS-based PC game, music and all sounds were composed by Raster in his great RMT. HexxagonXE was released in Flop No. 47 and it is freeware as usual. 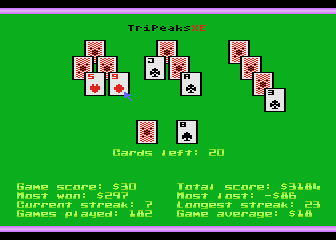 Next Atari clone of my another favourite solitaire card game from PC. In this case, original version wasn't made by Micro$oft and therefore I had not to make almost any changes in my Atari remake. Written for Flop No. 46. Revisited version 1.1 with fixed serious bug in divide routine released in Flop 48. 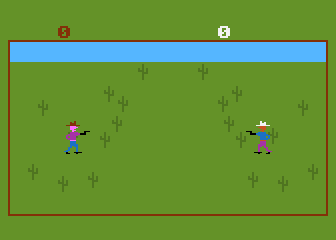 The first game made after my glorious return to Atari scene. 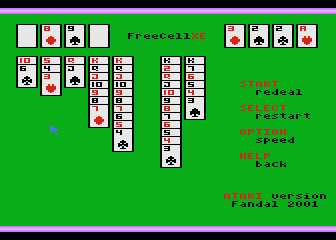 FreeCellXE is almost identical to well-known Microsoft's FreeCell from "OS" Windows but it has some very important improvements so it is finally fully playable. Released in Atari magazine Flop No. 45. Freeware. 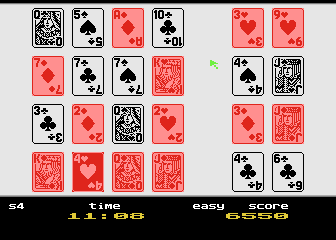 FreeCellXE was also ported to the Atari 5200 by Classic in 2005. Thank you, Steve! Very very old and still unfinished project. In 1990 (or so) I decided to make original Czech text adventure game. My job was to write code and my friend Ondrej promised to prepare story. Everything was going rather good but when we both left high school in 1991, project Sturbon was terminated. And things went worse: in 1993 I sold my Atari 130XE so I lost all stuff made for my 8-bit honey. Fortunately, Sturbon wasn't dead forever. In 1999 I bought Atari again, partially to finish Sturbie. And, for real, very soon I started to code it again because Ondrej agreed to finish his superb scenario. However, it only was a promise. Game engine and intro part were ready in 2000 but Ondrej still isn't able to get his job done. After five years!! And I'm affraid Sturbon will never be finished because he's too busy and too lazy to complete story and I forgot everything about game engine (I have no documentation, of course). So, at this time, I can offer to all Atarians just this intro part with picture converted from PC, amazing music from Raster (thanx!) 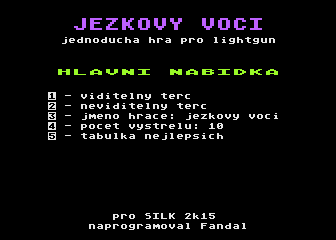 and long scroller in Czech language.